Perhaps more than any aspect of a comic, the look is what sells it. While readers buy comics for a lot of different reasons, the basest motive for a comic fan to buy a title they never have before is the book is visually appealing. It stands out. It jumps off the racks at you as you walk by. This comic speaks to you. Often, this is built on art. You walk by a comic with a cover drawn by Mike del Mundo, for example, and you’re moved by it. “This is something I need to look into.” There’s magnetism there. It’s valuable. Despite that, one of the strangest things about the majority of comics is, for the most part, they look eerily similar to each other and the comics of other generations. 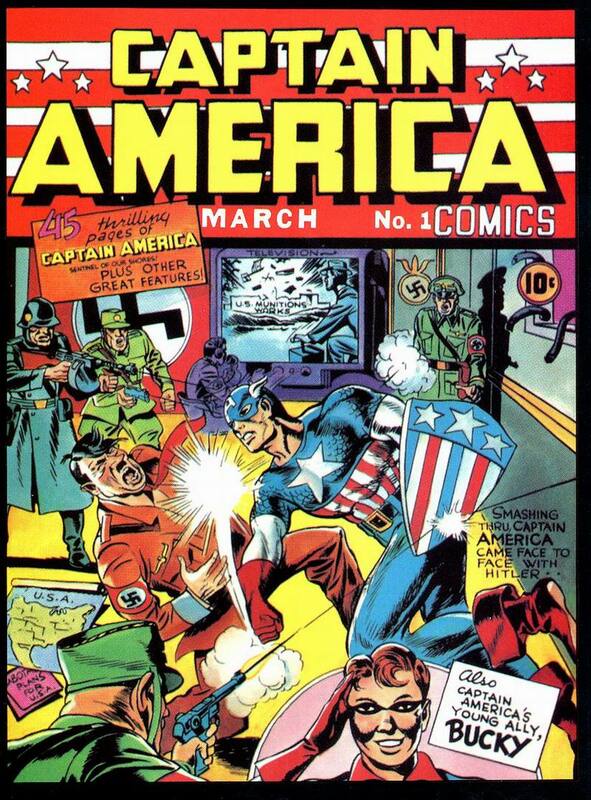 If you take an average comic from the past – say, Captain America #1 – and pair it up with a new one – the new Sam Wilson, Captain America #1, for example – they don’t look exactly the same, both on the cover and inside. But they aren’t that different either. Comics have an accepted look in the minds of readers, publishers and creators. That’s been the case for a while. And for some that isn’t a good thing. While designers like Rian Hughes and Chip Kidd have made their mark on comics in exciting ways, much of what we’ve seen is limited to refining logos and adjusting layouts. Wholesale change in the design of comics wasn’t happening, for reasons unknown. The good news is the status quo is under siege, and it has been for years now. Good design that impacts comics in a holistic way is taking the leap, and we’re not only feeling it on the covers, but throughout the comic book experience. Comics could and should be a unified experience, and it’s thanks to the work of designers like Muller, Fonografiks and Hannah Donovan that this is happening. Today, we will examine the value of the work they’re doing, and how comics are being impacted in a positive way. There’s one important question to answer before moving on: what do comic designers do, exactly? That’s the ten thousand foot view on comic design, and a rough idea of what a designer’s role should be on any project they take on. Beyond that, an important way to view design is this: it’s not about making something splashy or over the top, but delivering an appealing package that fits and enhances the product it is part of. Take Jonathan Hickman, for example. Today he’s one of the most popular writers in comics, but he once followed a different path. 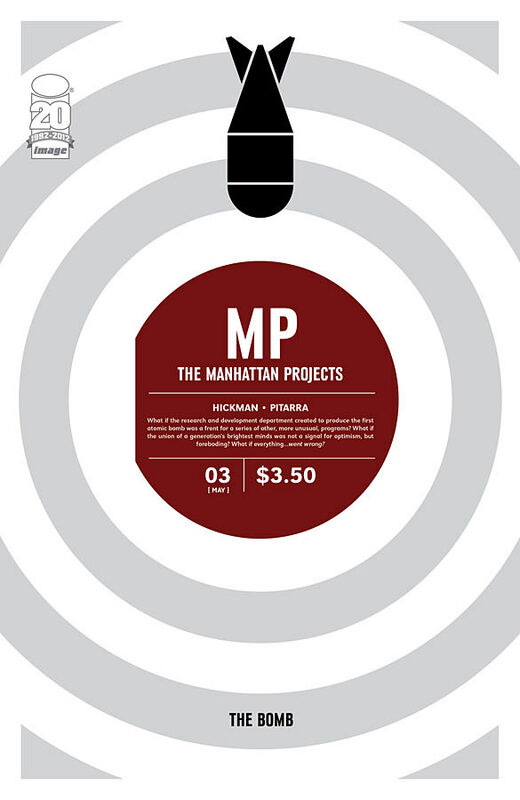 His college degree is in architecture and before he worked in comics, he was an art director at an advertising agency. His background can be seen throughout his oeuvre in the transition pages and infographic like aspects he’s known for. They aren’t there because they look cool. They serve a storytelling purpose. That’s an idea other designers echo, including Hilary Thompson, a graphic designer at Oni Press. Her job is handling logo, cover and interior design for Oni books like Letter 44, Rick and Morty and Junior Braves of the Apocalypse. Her thoughts mirror what Hickman said. 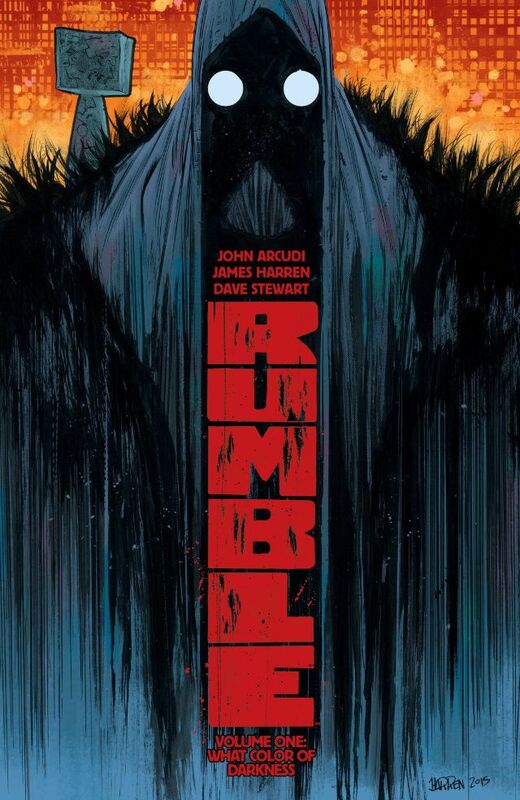 That’s something Vincent Kukua, a production artist at Image Comics Central who works on books like Copperhead, Orc Stain and Rumble, fights with on the regular. He likes to think outside the box for design, but to make it work, he has to rein himself in at times. It’s a delicate balance, and one we’re seeing accomplished increasingly often in comics. Both creators and publishers are realizing quality design impacts the reading experience in more expansive ways than we used to believe. The work of designers isn’t just making readers pick up a book; it’s enhancing the experience and helping convince them to keep buying the title past that initial issue. Creating a visual identity is part of Muller’s everyday life, even outside comics. He comes from a long line of artists, and he lives and breathes design. Beyond that, his work in developing and maintaining brand identities at digital agency Code and Theory – “where you usually solve design problems with unified design systems…(and) a global brand language for a client that runs throughout all aspects” – can be seen in his comic work, and he used Drifter as an example. If this sounds cool, that’s because it is. But again, it’s not just cool; it’s storytelling. 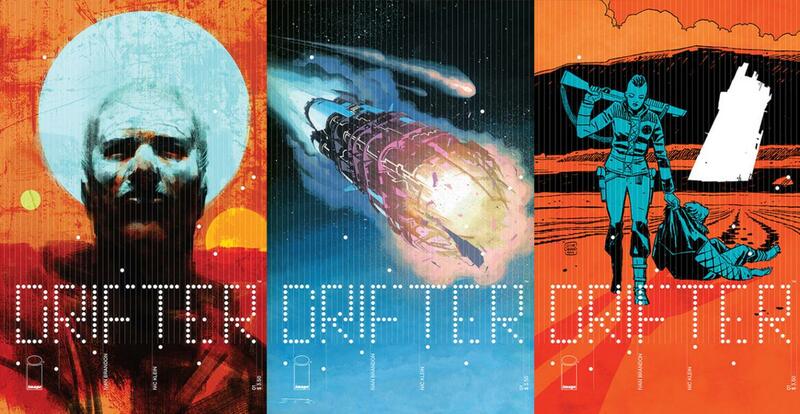 And while comic design is seen to a greater degree in creator-owned comics like Drifter, publishers like Valiant and Boom! Studios are making big strides on their respective lines as well. In fact, Boom! houses one of my favorite designers in the gifted Kara Leopard. She’s a production designer there, working on titles ranging from Giant Days and Over the Garden Wall to Tyson Hesse’s Diesel and Peanuts. She creates logos, designs ads and develops credit pages for books. 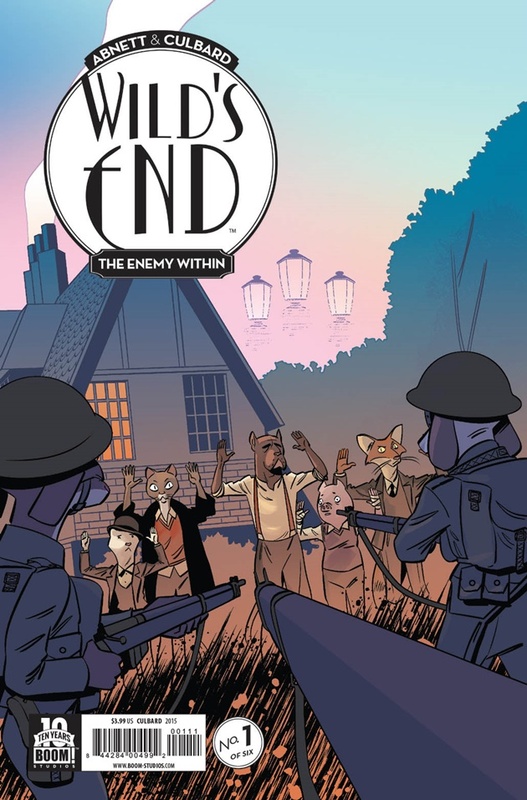 In particular, her work on Wild’s End has impressed, and Dan Abnett and INJ Culbard’s title has been one of the finest in comics since its launch thanks to the keen visual eye of Culbard and Leopard. For one, the logo – which Leopard and her manager Scott Newman collaborated on – is a favorite. It’s design at the epicenter of aesthetic and functionality, and the covers are a phenomenal fit for the era and sensibility of the title. And fit is important to Leopard, who has to realign her mindset depending on the project she’s working on. Whether its creator-owned comics where designers are essential parts of the creative team or projects like Leopard’s, design has become increasingly important in comics. You can see it across the board. Its value is accelerating. While its importance has taken a leap in recent years, it should be noted once again that design’s value in comics is hardly a new thing, as Hickman shared. It was just less prominent because of how much of the industry is structured. That’s why creator-owned is the most significant driver of thoughtful, atypical design in comics. As Muller shares in a podcast we’ll run tomorrow, the largest publishers are like oil tankers. They take a lot longer to make turns – for good reason – and that means change is more of a struggle for them. Altering the look of a Marvel or DC title means convincing many stakeholders that it’s the right move. It’s a process. Creator-owned comics, on the other hand, are more like zippy speedboats. They can change directions quickly, and you only need to decide with your collaborators that bringing on a designer is a good idea. We’re seeing that more often in creator-owned thanks to how the money is split, according to Hickman. For people like Muller, creator-owned means being factored in from the start. That can change everything for a comic. Compare that to his for-hire gigs – which he describes as “more linear affair(s)” – and you have design impacting comics in hugely different ways. 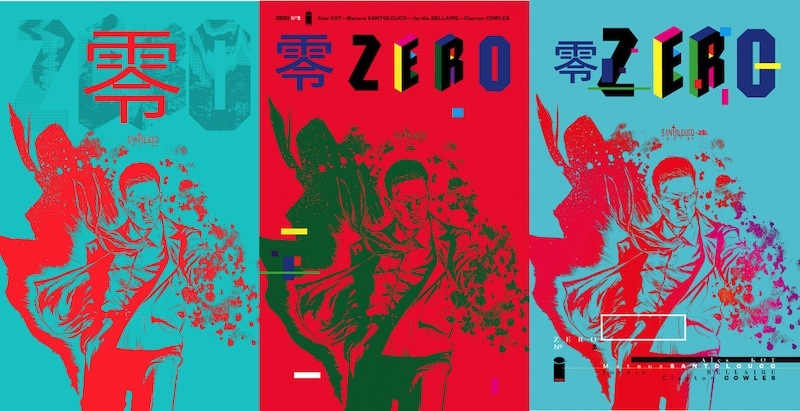 His work for major publishers has been significant, having done cover work for Valiant (who also hired Rian Hughes to redesign their logo upon their relaunch) and logo work for DC/Vertigo. But it isn’t as total as what he’s done on creator-owned projects. That’s not to say it’s impossible to create change on for-hire projects. Arguably no creator has made greater changes to the look of Marvel comics in recent years than Hickman. He made it to the House of Ideas and brought his design aesthetic along with him. “The thing I did was offer solutions. If I didn’t like the way something looked, then I wouldn’t just complain, I’d offer solutions. ‘Here are some mockups for how the cover design can work for 30 to 60 issues. Here’s what the title page should be. Here’s what the recap page should accomplish and how. Here’s the fonts we should use,’” he added. Part of his desire to do that was because Hickman uses design to control the flow of his stories, as he said. But it was also because of something few creators incorporate into the look of their comics: branding. And they are. One of best things about a Hickman comic is if you removed the credits and words from the book, you could still figure out who made it. The story transitions and breaks in his comics are signatures that also aid his storytelling. Not that everyone could get away with that, but as Hickman said, he presented Marvel with solutions, and even the biggest comic publisher in the United States rolled with it. The oil tankers can move pretty fast if need be, it seems. Another thing to consider is how the readership itself is changing. With new readers of all varieties picking up comics in greater numbers, not everyone wants or expects comics to always look the same. Even beyond that, many are used to reading comics online or digitally through ComiXology, which is a much different reading experience. Comic readers are arguably more accepting of the “new” now than any time before, and that has sped up the transition. Well, mostly, as Hickman shared when I asked him about his predilection towards circles. 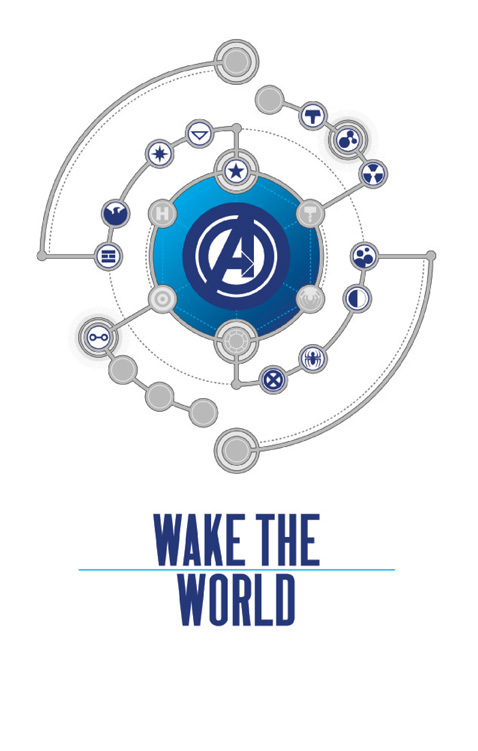 His branding is so pervasive even his most ardent of adversaries know Hickman for his usage of a shape. That’s impressive. It’s always important to remember nothing moves the needle in comics (or really any industry) like money. That’s a factor in Leopard’s mind. For Kukua, he seconded the earlier thought about technology having an impact – “we’ve seen a lot of physical media get a bit of a jolt” – on comics utilizing thoughtful design more than ever. Beyond the people featured here, the comic industry is lousy with exceptional designers these days. Hannah Donovan – who is a product designer by day – has made The Wicked + The Divine a better looking book both in comic form and in trades with what she brings to the table. John Roshell of Comicraft fame has helped make The Autumnlands an even more beautiful book. Eric Trautmann’s design work for Lazarus’ backmatter makes him maybe the most underrated contributor to any comic today. Steven Finch (aka Fonografiks) might be the best designer in comics. 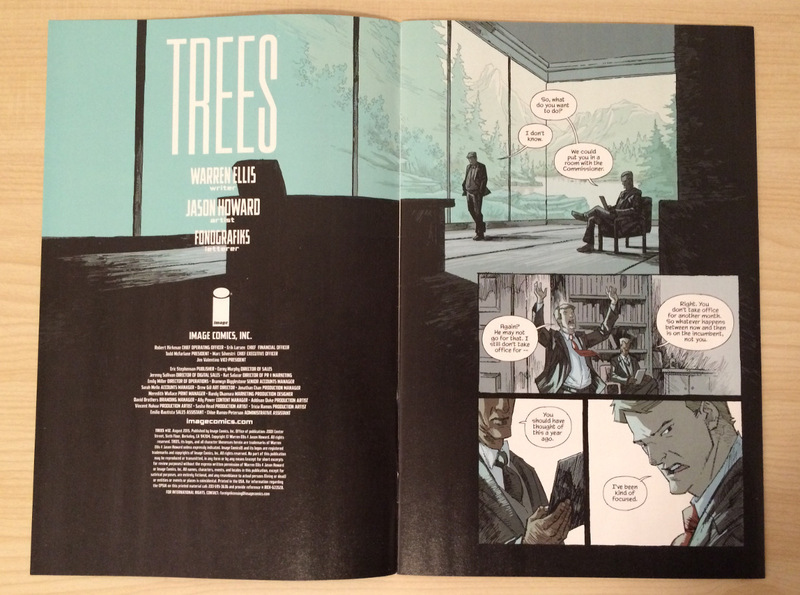 His transitions to each issue of Trees help give it the finest open of any book on the stands. Beyond those four, the folks who commented on this article cited all kinds of names and publishers for who they’re impressed by. They ranged from Jared K. Fletcher (Southern Bastards, Paper Girls) and David Carson (Ray Gun magazine) to Nobrow Press and multiple mentions of Fantagraphics. That’s just scratching the surface. 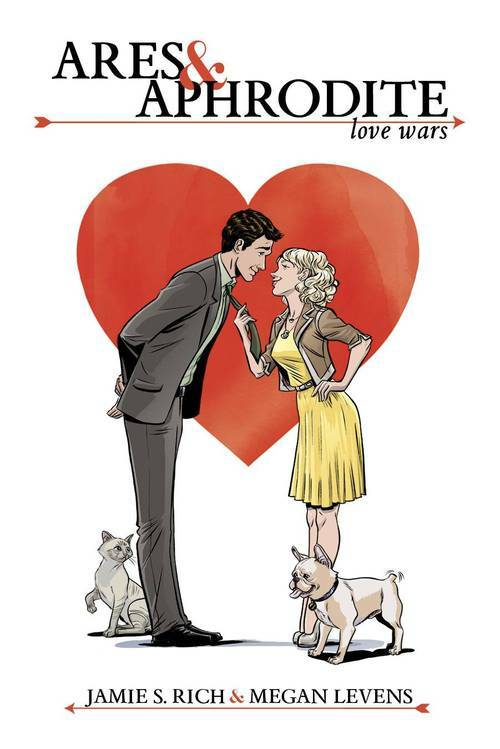 There are an awful lot of gorgeous comics out there, and it’s getting better. For a designer like Thompson, this direction is exciting. For Hickman, it’s about creating something beautiful, and he’s pushing his upcoming work to achieve that in an even greater sense than before. Muller is seeing more job offers than ever in comics thanks to the increased focus on design and his own higher profile. That isn’t stopping him from continuing to push his work as well. Thompson agrees with the idea. “I think it’s also interesting to see how lately a lot of comics and graphic novels are taking on more of an art book style, with cool cover treatments and things that push the envelope for what we all normally think a ‘comic book’ should look like,” Thompson said. She sees that type of development as necessary for achieving progress in the form. That’s what is important, really. To keep moving forward and not accept the way things are simply because that’s the way things have always been done. Comics have gotten better the more they’ve released themselves from the shackles of the past. Not that what came before should be abandoned. They both should be embraced – together. Innovation doesn’t preclude continuity, and it doesn’t hamstring quality. When it gets down to it, comics are better off with design not being a step in the process, but an aspect considered from the beginning. Thankfully, we’re seeing the fruits of the labor of people like Muller, Hickman, Thompson, Kukua and Leopard pay off in a big way. That’s greasing the wheels of change. Better design can lead to better comics. We’re only scratching the surface as to what that could mean. That’s a good thing for comic fans everywhere. Thanks to Jonathan Hickman, Vincent Kukua, Kara Leopard, Tom Muller and Hilary Thompson for the insight they shared for this article. It – along with their superb design work – is much appreciated. Header image provided by Muller. Stay tuned for this week’s podcast, which is a discussion with Muller about design. It’s a good one. It arrives tomorrow morning.